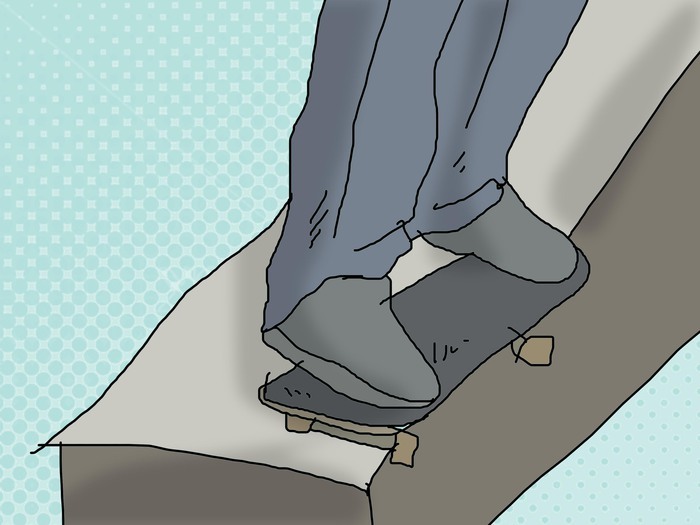 Some articles can mislead you on how to dress like a "real" skater. Real skaters make it seem like they don't put too much effort or thought into what they wear. If you think about it too much, give it up; the style isn't for you. Watch skate videos see what pros wear and get an idea. If you're planning on actually skating with the jeans, make sure they can stretch. Some skaters wear sweatpants with athletic shorts underneath. It depends on your personal style. Baggier pants can also be worn but only if they will stay on you, no one wants to see your whiteys. Get a bunch of flannel shirts or T-shirts (once again depending on your style). You can pass by wearing a pair of jeans a couple of days in a row, but don't try it with shirts. depending on you're style and build, You'll want different sizes of shirt. If you're really skinny, buy shirts that make it obvious that you are. If you're uncomfortable with it, buy a hoodie. If you're into the gangster look, Go long and baggy! Get a pair of shoes that match your style of skating. 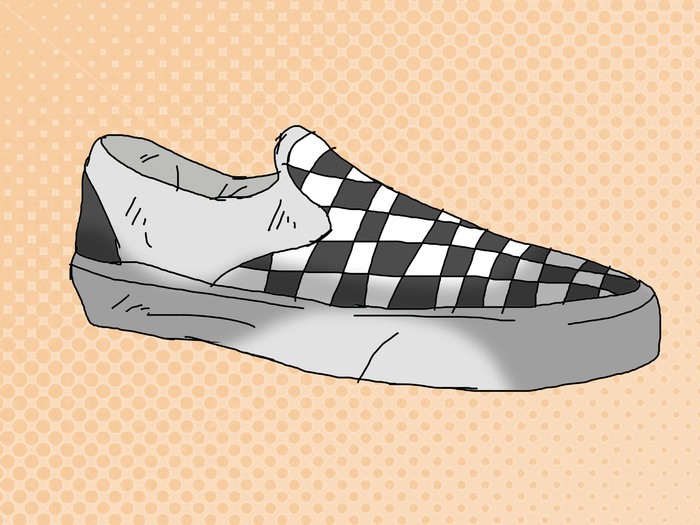 If you're more into a 'Punk' or 'Emo' look, then you should get a pair of Vans or Fallen. If you're more into 'Gangster' then get Zoo York or Supra. DC, Etnies, Globe, Osiris, Adios etc are all Great 'general skate makes'. 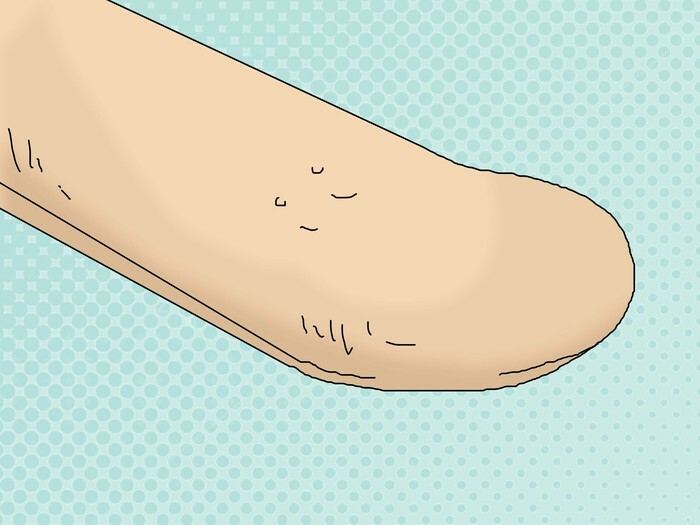 A good tip is to wear whatever style clothes your favorite Pro skater wears, or even the style of skaters at the local spot. Don't buy the EXACT same clothes though! you don't want to be a copy cat! Make sure you get a good board. A skater will judge you by your board before you even get on it. Good brands of trucks include Independent, Tensor, Thunder, Royal, and Destructo. Some popular brands of decks include Element, Baker, PlanB, Zero, Enjoi, Blueprint, and Blind. Bearings are essential as well as hardware; source these from the same manufacturer as your trucks if available; if not, just buy the hardware the deck company sells. Don't pretend to be good if you're not. Chances are, someone will challenge you to skate; then, you'll get embarrassed or maybe even hurt, and might start crying. Crying isn't cool. Most real skaters have whatever hairstyle they want, be it short, long, or medium. Don't let yourself be tricked by the stereotypes, real skaters have a variety of hairstyles. Only talk about skateboarding once in a while, make sure it's not the only thing you talk about. Once you get good enough, go skating with some talented friends. It's good to have talented friends that will back you up, support you, and encourage you to keep skating. Don't use phrases like 'GNARLY, DUDE' or 'MAN, THAT WAS WICKED AWESOME,' unless you're sure that you can get away with it. Don’t be discouraged when you see people talking about you behind your back at the park, especially when you first start out. It happens, so just go with the flow. Most skaters that act tough are nothing but wimps that will only pick a fight when they have a group of friends nearby. Still, it's best if you don't fight them. Clothing. Get a bunch of shirts and pants. Friends that skate. Buddies that know how to shred can really boost your confidence.